A pallet DIY shelf adds flair to any room. 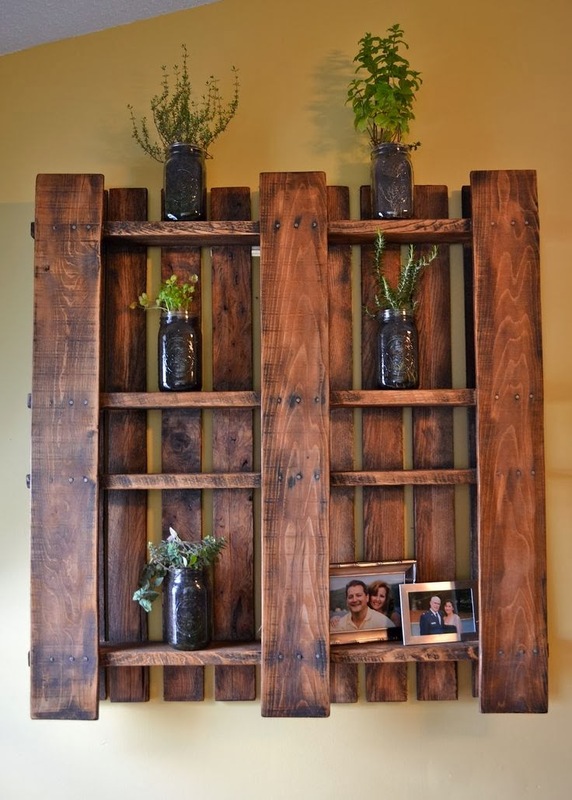 Whether utilizing to hold frames or plants, a DIY pallet shelf adds a classic/rustic feel that looks much better than the average 2×4. Given the wide range of possibilities that pallets offer for shelving purposes, it’s easy to let your imagination wander in regards to what’s possible. Shelving books, plants, bottles, you name it, it’s all fair game when it comes to creating your DIY pallet shelf. When it comes to personalizing a DIY pallet shelf, the world is your oyster. Whether it be covered with inspirational quotes or a simple finish, the customization possibilities are endless. It’s possible to purchase a pre-made pallet shelf, but the real fun lies in making it on your own. In addition to saving money during the self-customization process, building your own pallet shelf will open your eyes to what’s possible for future projects. A DIY pallet coffee table is an excellent touch to any coffee designated drinking area. Whether it be in the kitchen, the living room, or on the porch, a DIY coffee table can be used for much more activities than a surface to drink coffee on. Aside from a little clean up, a DIY pallet coffee table is relatively easy to make if you plan on keeping it simple. The number of pallets you plan on using can easily adjust how high the coffee table needs to be for suiting your interests. There’s plenty of different ways you can personalize a DIY coffee table. For example, the photo above shows that the individual added wheels and utilized the slats as shelves. There’s plenty of places where you can purchase a DIY coffee table, but given how simple they are to make… you might be better off making one on your own. 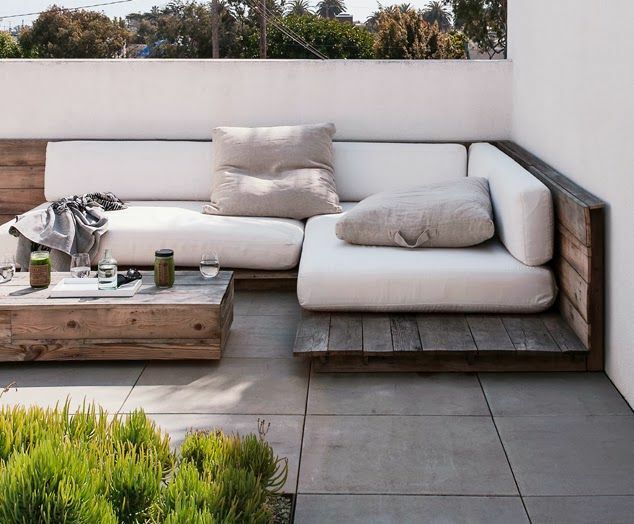 What makes outdoor DIY pallet sofas so great is that pallets are pre-built to sustain damage from outside forces (i.e. harsh weather conditions). Between looking great and being able to handle a couple of storms, DIY pallet sofas are an excellent addition to any porch. 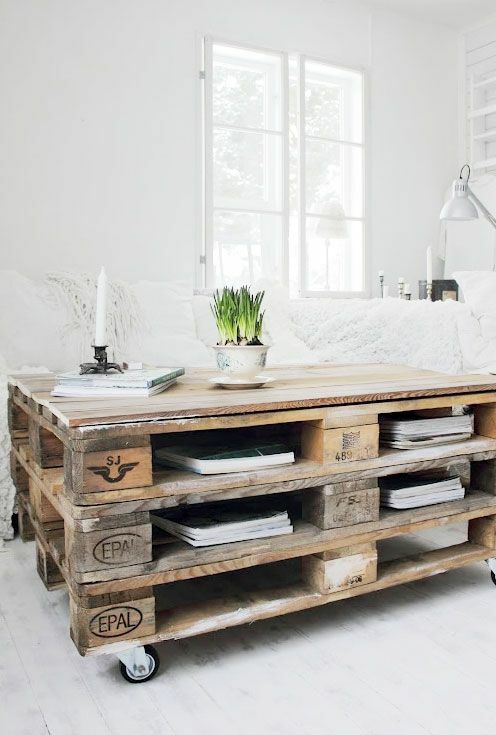 Much like DIY pallet coffee tables, many DIY pallet sofas require little effort in their construction. If you need the sofa at a certain height, you only need to add more pallets to make it possible. Many DIY pallet sofa owners add their own flair to the outdoor furniture by painting and varnishing the pallets before construction. If you’re lucky enough, you can find a color that works great with your home’s color scheme and looks incredibly inviting during the warmer months. Since creating DIY pallet sofas are relatively simple to make, most of your efforts will be spent finding the pillows that will make the sofa unavoidable when it comes to rest and relaxation in the summer. Building or having a wine bar built can be rather pricey, but building a wine bar out of pallets cuts out a majority of the construction costs. Bringing a touch of the wild west to a classic look, your DIY pallet wine bar may end up your permanent watering hole. 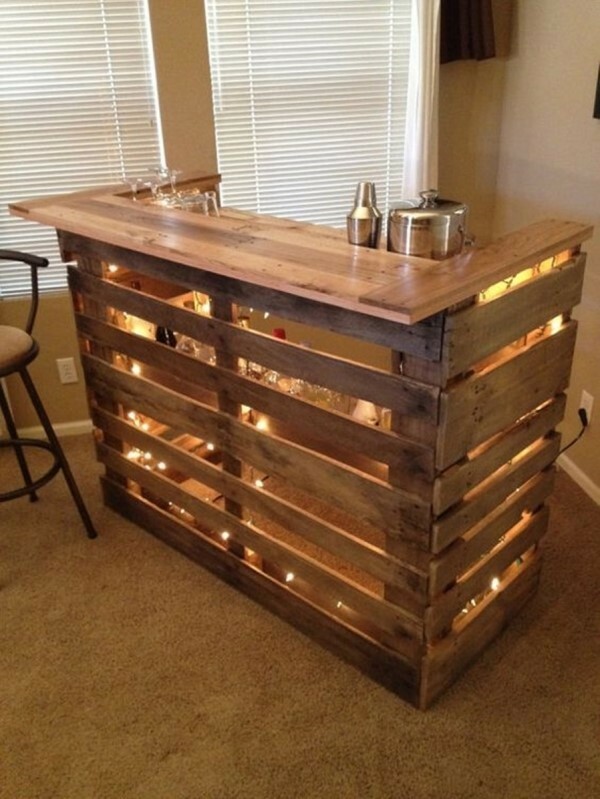 A DIY pallet wine bar may take a little bit more time to create, but most of if it is up to the bartender’s choosing. For example, the wine bar above uses three pallets with a slick finish for the table. Personalizing a DIY pallet wine bar might be the most exciting step as it sets the mood in regards to the adult beverages consumed. For example, the photo above utilizes white Christmas lights to provide enough light for relaxing. Although DIY pallet wine bars may take a bit more work than a DIY sofa or coffee table, building one on your own isn’t too far out of reach. Considering the most complex part of the bar is the tabletop, you can easily improvise with something else. A porch swing is always an excellent touch to any home, but a DIY pallet porch swing adds class and looks as if it was already part of the home before the purchase. If you happen to have a sturdy setup to hang a DIY pallet porch swing, by all means, build one. DIY pallet porch swings are fairly easy to build since the setup is very similar to a DIY sofa. Although the photo above is much more of a daybed setup, you’re only limited by your imagination when it comes to how large (or small) your DIY pallet porch swing becomes. 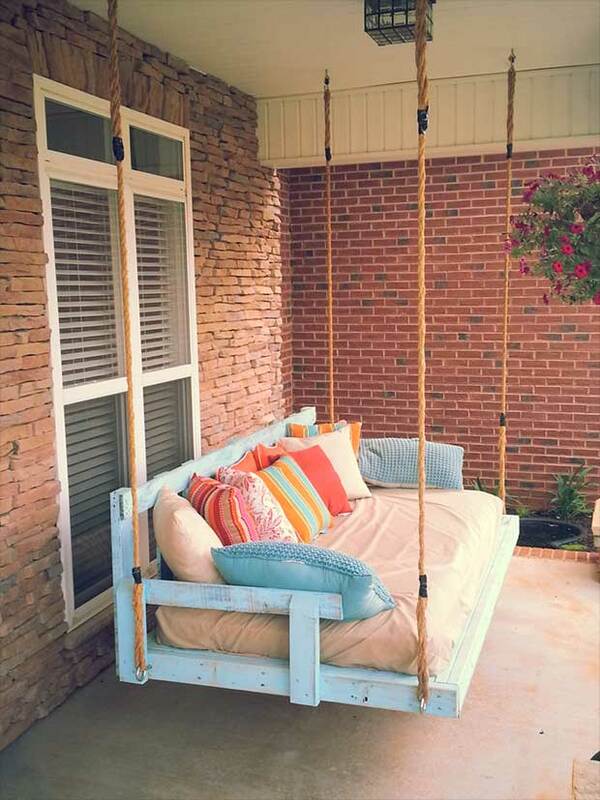 Given the materials used for pallets, the DIY porch swing will have no problem dealing with inclement weather. A DIY pallet bar cart may become a necessity when it comes to your future outdoor parties. Given the wheels in the back, it’s likely that your DIY pallet bar cart may see much more than your backyard. DIY pallet bar carts do take a bit more craftsmanship than other DIY pallet projects, but it’s all worth it once the bottles are settled in the cart and the glasses are ready to be filled. There’s plenty of different takes on the DIY pallet bar cart, with many having different shelves to haul cargo. 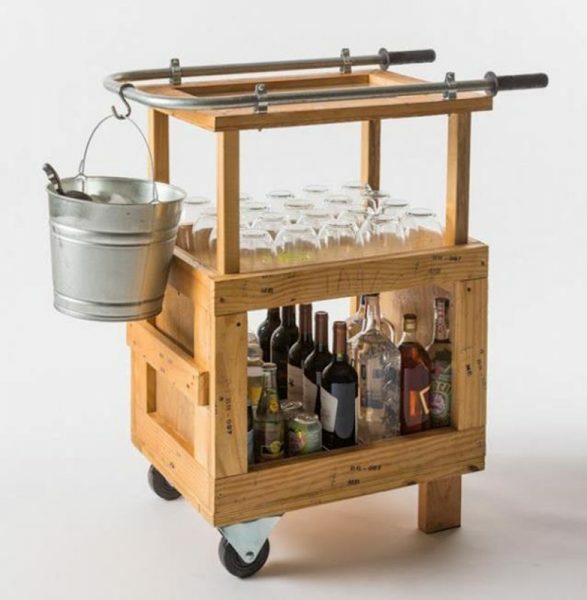 It’s possible to purchase a DIY pallet bar cart, but creating your own allows you to make a cart that’s strictly customized to cater to your parties. A DIY pallet bed is an excellent alternative to purchasing a frame. 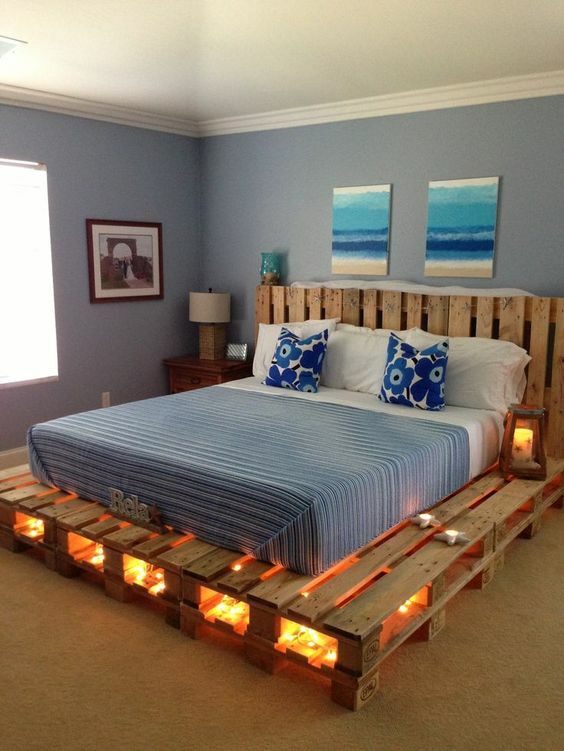 When it comes to stability throughout the bed and customization, a DIY pallet bed cannot be beat. Being much like DIY pallet outdoor sofas and coffee tables, creating a DIY pallet bed is remarkably easy. Requiring little input, a DIY pallet bed can be easy as lying down pallets and placing a bed on top. There’s many different variations of the DIY bed that add extra perks to the person sleeping on it. Some have even gone as far as utilizing DIY shelving as a head board. Creating a DIY pallet bed on your own is remarkably simple if you only want to use one as a bed frame. However, you can make it as complex as you’d like by adding shelving or lighting underneath the mattress (like the photo above). A DIY pallet flower bed is a very resourceful way to grow your plants. In addition to keeping the plants safe and elevated, a DIY plant flower bed looks better than plants scattered throughout a home randomly. 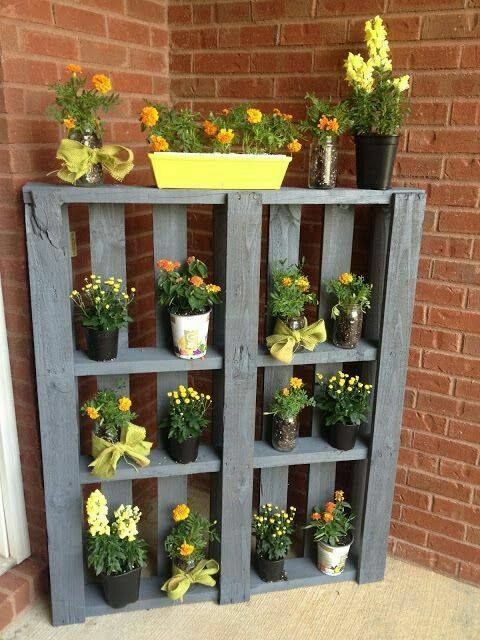 DIY pallet flower beds are fairly simple to create. Since some only go as far as painting them and using them for shelving, others go as far as setting them on the ground and using the pallet as a flower bed itself. With some quick online searching, many have added their own spin to conventional DIY pallet flower beds. With some that built like a DIY pallet shelf and some built like a DIY coffee table, the possibilities are endless in regards to how you house your plants. For many cases, making a DIY pallet flower bed is as easy as buying a pallet. For other cases, adding detail/shelving to suit your plants may be necessary. 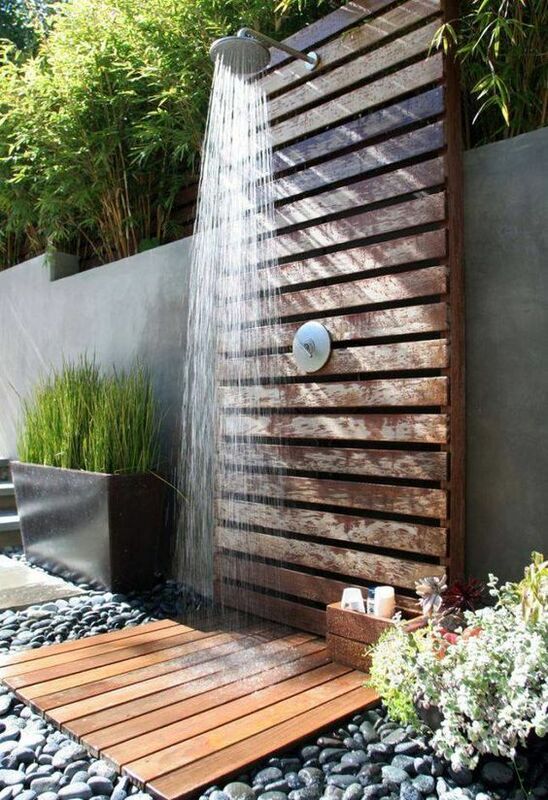 Whether living by the beach or near the woods, a DIY outdoor shower may be perfect for you. The use of DIY pallet showers add much more flair to what would be bare, boring pipes. In addition to providing appeal, DIY pallet showers can also be used to provide privacy. Some have gone as far as building an entire outdoor shower room (created from pallets) to provide complete privacy. In many cases, building a DIY outdoor shower may be the best idea for you. Since many only need a platform, it’s up to you to decide how much privacy you’d like. Being strong enough to withstand harsh weather, many business and homes turn to pallets for sharing a message. Their weight alone will keep them in place, but they’re not difficult to move if need be. 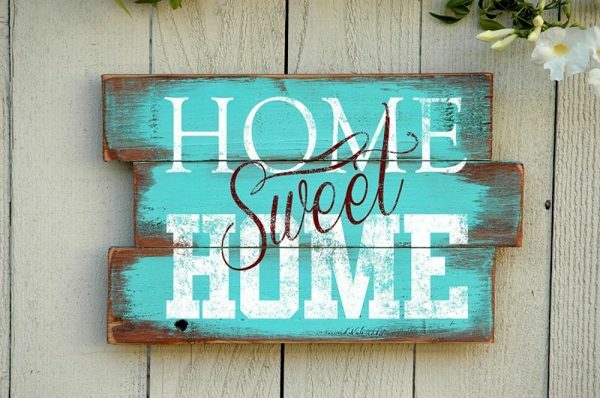 Some pallet signs are relatively simple given that many make signs with the pallets as is. However, some modify the pallet to suit their message. Although buying pre-made pallet signage is very common, creating you own message for a lesser price may be equally (if not more) fulfilling. There’s plenty of pallet stencils available on the market to create the message you desire. 12 Awesome Boy Nursery Design Ideas You Will Love!